This machete works well as a zombie slaying tool and survival weapon. 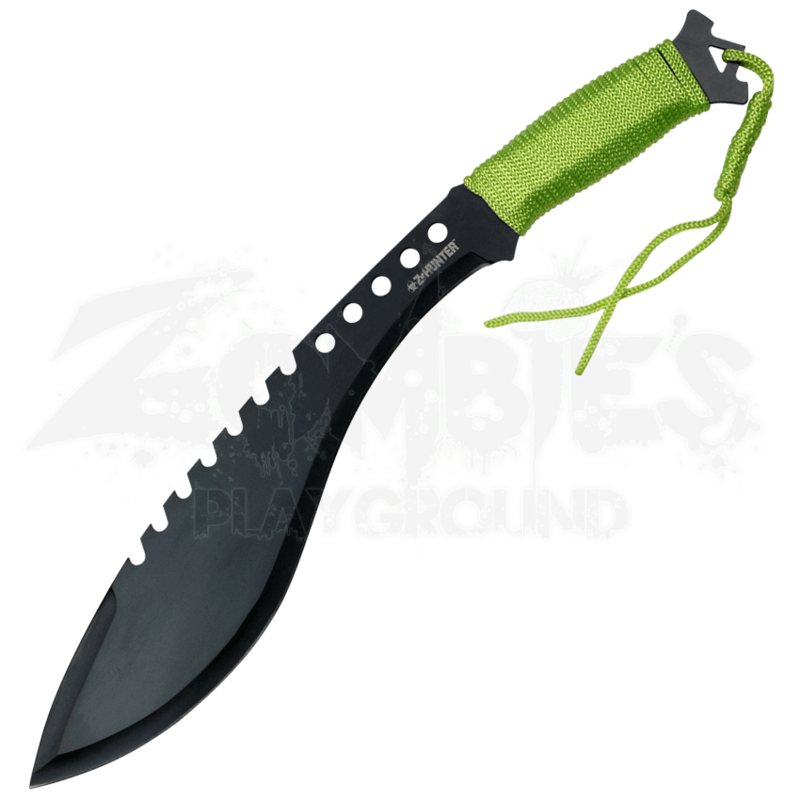 The Black Zombie Hunter Sawback Machete features a black stainless steel blade with a sawback and a bright green cord wrapped handle. The curved blade works well for stabbing and chopping, while the serrated sawback helps with notching things like tree branches, which can be an important feature when living out in the woods. The blade comes with a black nylon sheath, so you can safely carry it on the go. 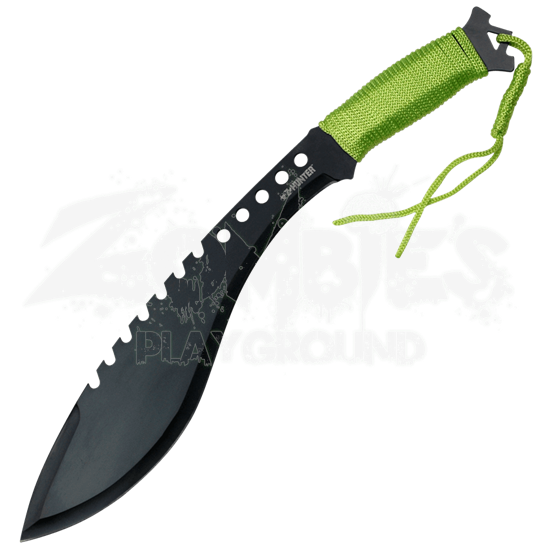 The Black Zombie Hunter Sawback Machete has all the functionality of a kukri, making it a great choice of weapon to help you survive when the zombies attack.